Give your baby great protection for a great value with HUGGIES Size Four Snug &amp; Dry Diapers. Our NEW Four Layer protection and trusted Leak Lock system provide reliable, long-lasting leakage protection for up to 12 hours, letting you spend more uninterrupted quality time with baby. Our Size Four diapers also feature fun NEW Disney designs with Mickey Mouse. Join Huggies Rewards to earn points on every pack of Huggies diapers and wipes you buy. Give your baby great protection for a great value with HUGGIES Size Four Snug & Dry Diapers. Our NEW Four Layer protection and trusted Leak Lock system provide reliable, long-lasting leakage protection for up to 12 hours, letting you spend more uninterrupted quality time with baby. Our Size Four diapers also feature fun NEW Disney designs with Mickey Mouse. Join Huggies Rewards to earn points on every pack of Huggies diapers and wipes you buy. Hug a little longer. Huggies Snug & Dry Diapers offer more uninterrupted quality time with baby. I swear by huggies !! My daughter loves huggies diapers ! We do all of the huggies! They arent cheap, flimsy or thin!!! They are very durable and can withstand as my daughter pees a lot ! My daughter can only wear huggies or pampers all other diapers gave her diaper rashes. We tried a small box of parents choice diapers because I know several people who swear by them but they didnt hold up they leaked terribly ! They were awful diapers ! So i swear by all huggies ! And especially at night time if your child uses the bathroom as much as mine does the night time huggies are the best ! 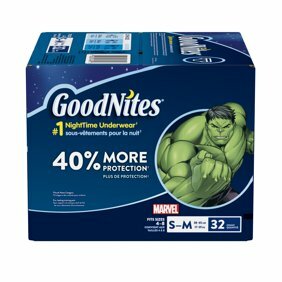 But if you dont buy those too any huggies brand diaper will hold up throughout the night !! They are very much so worth the money ! You get the bang for the buck thats for sure !! I swear by huggies ! And they arent priced crazy ! They are cheaper than pampers also !! So get your baby some huggies !! You wont regret it ! The wipes are also very good wipes and hold up they arent thin ! I have zero complaint about anything huggies ! They only ones that really absorbs! I love that pee doesnt come out, it absorbs poop and it doesnt get wet from the outside. If I could rate 0 I did. This is terrible cheap trash. I have 3 kids and used a lot of diapers. But this is really trash. One pie and my son is is leaking. I won't recommend this. Luv are way better than this one. I regret that I bought a big package.